ASK YOUR SELF THIS QUESTION? Well if you do, every year you face the high possibility of a bushfire in your area and the high possibility that your home could be damaged or even destroyed by a Bushfire and you need to be prepared and so does your home and property. 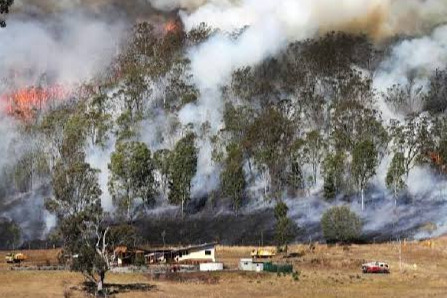 Reducing or eliminating the risks and hazards associated with Bushfires and living in high risk, rural urban interface bushfire prone areas. But in order to do this we need your help to buy the equipment we need to provide these vital bushfire preparedness and recovery programs in our community, so every dollar is important to us as it could save your home from being damaged in a bushfire. Please "DIG DEEP" and "DONATE TODAY" to THE BUSHFIIRE FOUNDATION INC to help us to help you prepare your homes and properties. If you wish to know more about these programs or wish to be involved as a volunteer please contact us at info@thebushfirefoundation.org to express your interest.